We would like to thank everyone who came out to visit our booth at the 2017 Southington Apple Harvest Festival. We had a great time talking with everyone as well as playing our recycling cart basketball game with you. 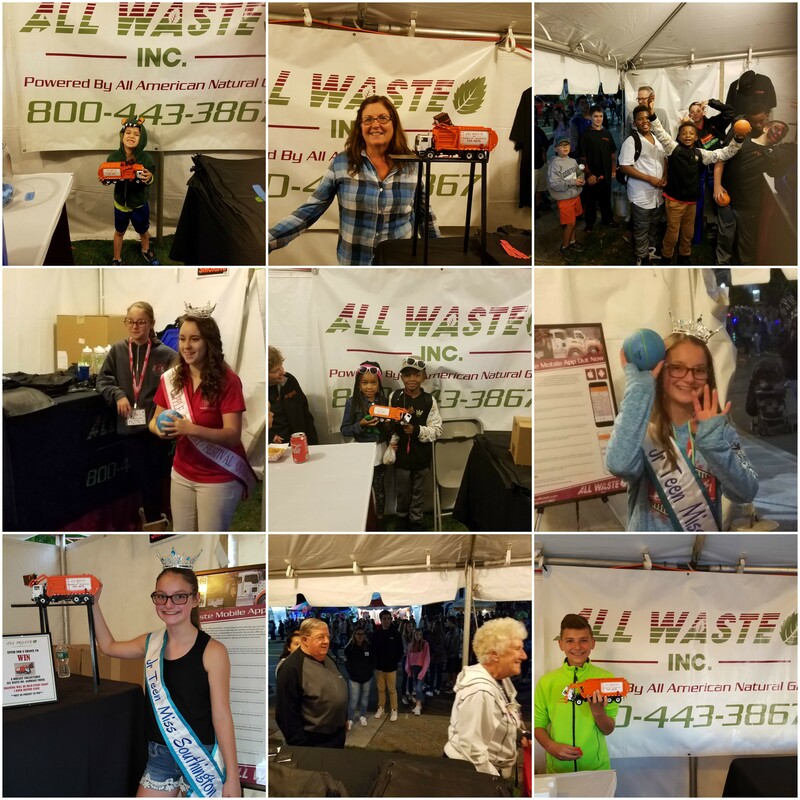 We would like to congratulate the winners of the All Waste, Inc. die cast truck winners. We look forward to seeing everyone next year.